Advanced Engineering Techniques Ltd are delighted to announce that they have been successful in their assessment of two key factors in GDPR compliance: the UK government’s Cyber Essentials accreditation, and IASME, the information assurance standard aimed at small to medium sized businesses. The new EU General Data Protection Regulation (GDPR) will replace all data protection legislation in EU member states, including the UK’s Data Protection Act 1998, coming into force on 25th May 2018. All UK businesses need to demonstrate compliance, and AET have been working behind the scenes on the company’s HR and IT systems and policies. 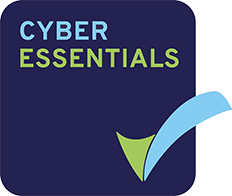 Cyber Essentials was launched by the UK government in 2014 with the purpose of providing organisations with the framework to develop systems and procedures to guard against digital attack. The IASME Consortium developed their information assurance standard in response to increased cyber threats waged at small to medium organisations, and is considered to be the ‘gold standard’ in the UK. Daniel Smith, AET’s Financial Controller, who has spearheaded the company’s GDPR compliance project is delighted with the accreditations. ‘The data security of AET’s employees, customers and suppliers is of paramount importance, and the fact that the law is changing only builds on what we already do today – and that is to give any personal information the respect and security it deserves. The achievement of these accreditations can only reinforce confidence to both our employees and any external organisation engaging with us of our approach to data security’.